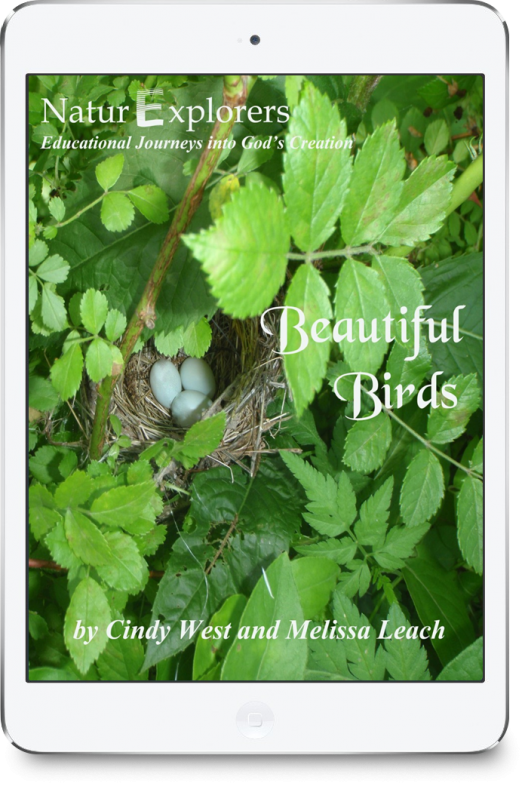 Easter and nature study flow together beautifully in these fun and Biblical lessons that your whole family will enjoy. While not your typical full-fledged NaturExplorers guide, Easter Nature Study Through the Holidays will be just what you need to prepare your hearts for Easter through unique, Christ-centered lessons tied into the Biblical account of Jesus’ final week, including His death, burial and resurrection. Easter is undoubtedly the most holy of celebrations for us as Christians. It’s the time we set aside to remember the ultimate sacrifice Jesus made for us on the cross. The time we praise Him above all names for becoming our Savior. The time we stand in exuberance that He has overcome death and sin for all of us. 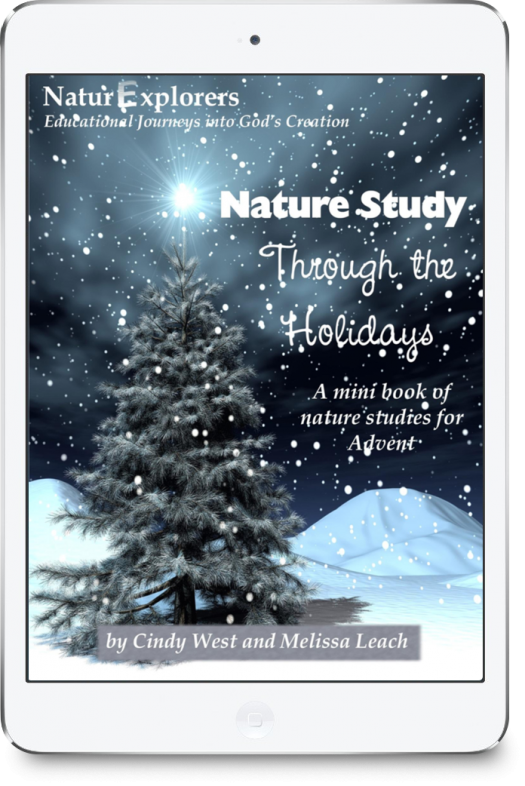 Each day you will be encouraged to read a selection from the Bible and worship the Lord through one or more hymns of the season. Then you’ll get outside to find sweet signs of our Savior by completing at least one of the suggested nature activities. Seven full-color notebooking pages are included to go along with several of the nature walk suggestions! For each of the topics listed above (Palm Sunday, Sweet Fragrances, etc. ), there are four-six nature walk suggestions. 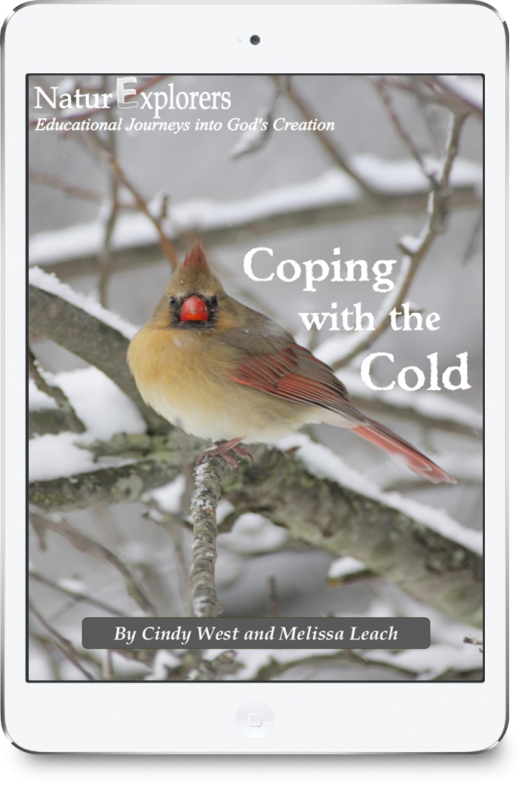 If you choose to do one nature walk every day, you could use this curriculum every day for eight weeks. Many families have chosen to use the curriculum in the week or two prior to Easter, completing one or more of the lessons per day. Just what will you be doing outside? There are lots of meaningful suggestions that will not only reinforce the Bible story, but teach science concepts as well. 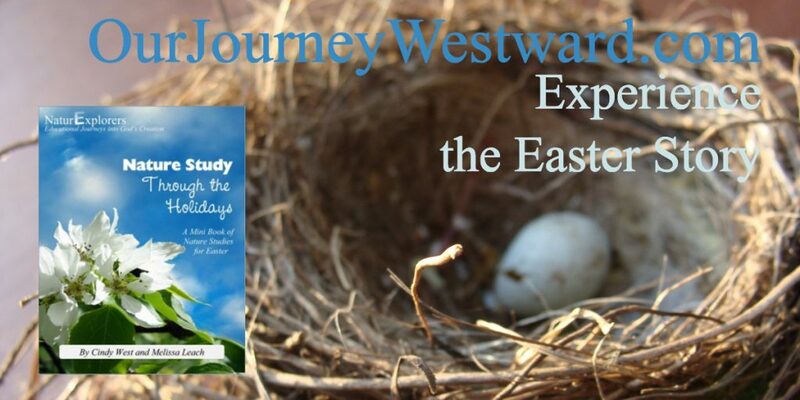 In total, there are more than 40 nature activities to support the Biblical story of Easter! 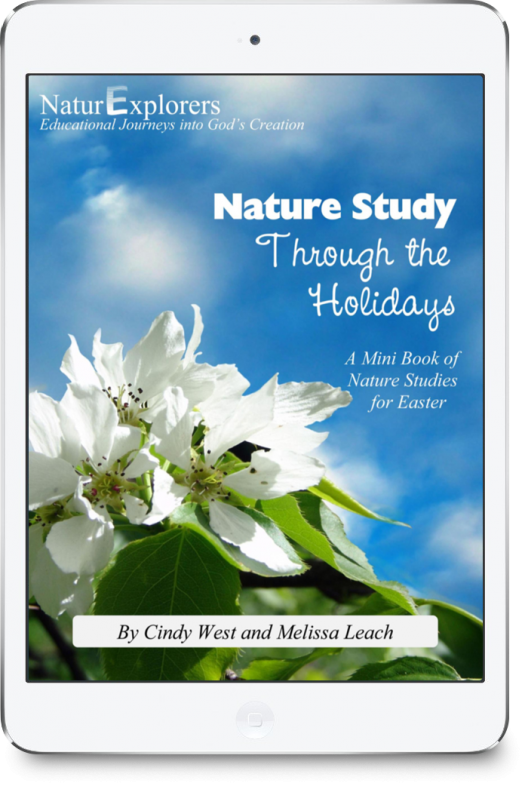 Easter Nature Study Through the Holidays was written with the 1st-6th grader in mind. The activities are easily adaptable for younger and older children. Most of the nature walks can easily be done with groups of children, so consider bringing along a family or two who need to hear the Easter story! Science lessons don’t get much more meaningful when you focus on Easter nature study! Living literature adds quite a lot to any study, which is why good books are always suggested to go alongside my curriculum. 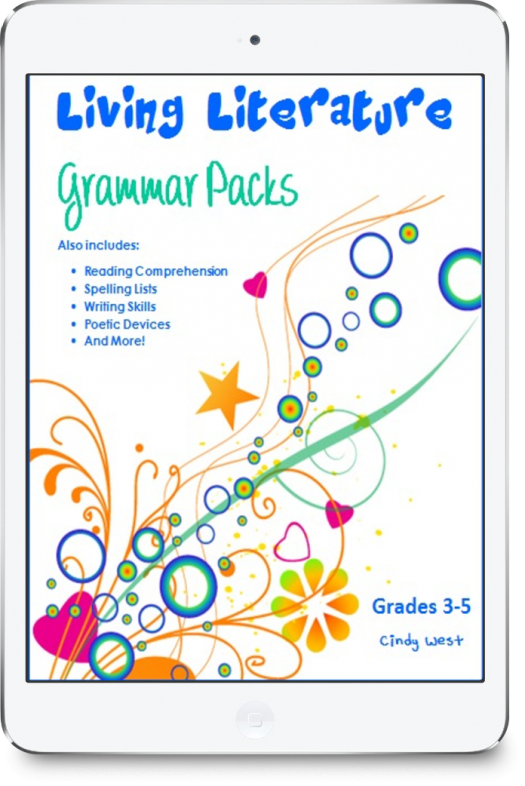 However, none of these books are required in order to successfully complete the lessons.